This year I chose to do a postcard, front and back, with pictures of our adventures in 2014. 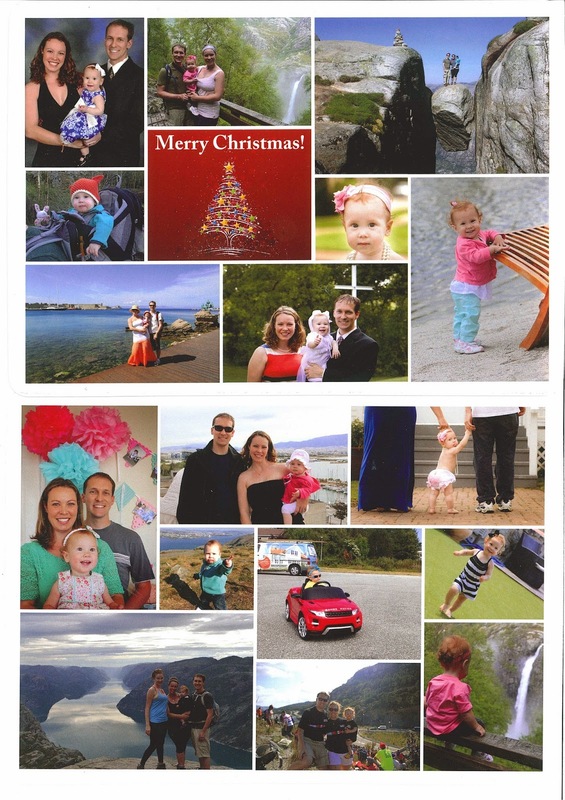 I included a half-page update in the cards since we didn't do text this year. The scanned copy I used doesn't do the cards justice at all - they are glossy and crystal clear. I would highly recommend them for those willing to brave the design software to create their own (I used Adobe Illustrator).